We are currently working on the next edition. If you have any suggested updates or additions, please start sending those our way and we can make edits online immediately and ensure they are included in the next printing. If you have not reserved your ad space already, this is a perfect time- we are the official resource several community organizations, including the Alzheimer’s Association, and the Area Agency on Aging. 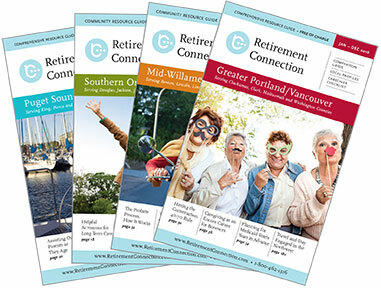 We print 55,000 copies that reach your target demographic. The ads in the guide are placed by 1) size and 2) date of reservation; so there is an additional benefit to reserve sooner. In addition, we are always looking for quality educational articles, if you have a suggestion for an article to be included in the guide or online, please send it our way. Please let us know when a good time to connect is to learn more about your business. "If I am weird around you, it’s because I am comfortable."